While cleanliness is a luxury in some industries, in the medical field, where small particles have enormous effects on safety and effectiveness, cleanliness is a necessity. Sharpertek’s ultrasonic medical cleaners are fast, easy to use, machines that obtain the highest levels of cleanliness on the market for all imaginable applications. 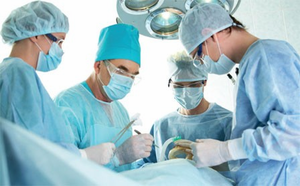 For hospitals and surgery centers, we individually design and manufacture custom machines for large scale operations. 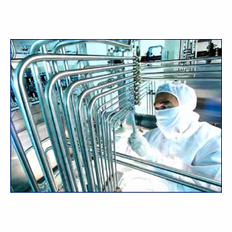 Our machines are capable of holding numerous tubes, or instruments, and cleaning them significantly faster than conventional cleaning methods. From cleaning freshly made tubes for X-Ray machines to cleaning and sterilizing used robotic tooling, we have the expertise to properly clean the tools you and your patients rely on every day. For individual doctor’s and dentist’s offices, our extensive line of small machines are perfect for cleaning anything from periodontal probes and mouth mirrors to stethoscopes and scalpels. Our easy to use machines clean complete sets of tools simultaneously, faster than a technician could clean a single tool by hand, perfect for pre-sterilization cleanings. 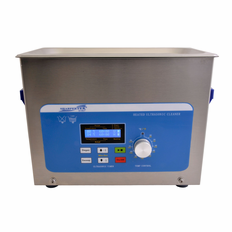 Custom Built Ultrasonic Aqueous Parts Cleaners- Sharpertek’s manual and automated machines are capable of cleaning hundreds of small instruments simultaneously in a single large tank or individually passing large parts through a multi-tank system, complete with cleaning, rinsing, drying, and lubrication stages. Our machines work for large or small parts of any shape or style with exceptional features such as HMI touchscreen, full safety features (including NRTL Certification), conveyor integration, random recipe processor, data logging, high throughput, precision cleaning, fully optimized process, control, and superior repeatability on large batches. Medical Cleaners – Sharpertek’s lumen flushing machines for cannulated instruments are on the leading edge of medical cleaning devices and consistently exceed cleanliness requirements for such applications. 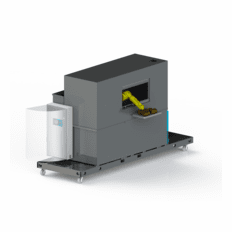 Our machines are designed to hold numerous instruments at once to significantly increase throughput. Standard Parts Washers – Our existing product line of table top machines are perfect for physicians and dentists. 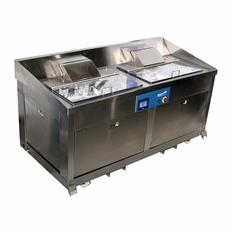 These machines are ideal for low volume applications where the user does not need to clean hundreds of parts a day but must quickly clean their instruments before sterilization. Our table top machines come in varying sizes to accommodate any instrument size and are extremely straight forward to use. Plastic Welding- Sharpertek’s ultrasonic plastic welding equipment make fastening of plastic component simple, quick, and efficient. These welders are perfect for repackaging freshly sterilized instruments. With knowledgeable and experienced engineering Sharpertek offers a cost effective and high quality solution for fastening plastic parts. Fixture and horn design optimization ensure a high quality weld with a long service life.